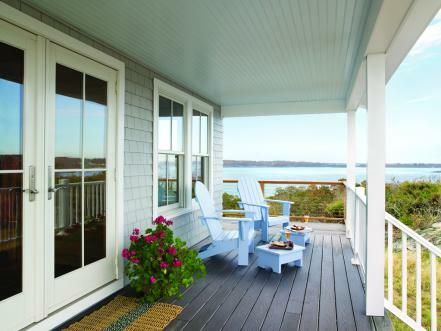 Get inspired by these porches with inviting focal points and picture-perfect design features. 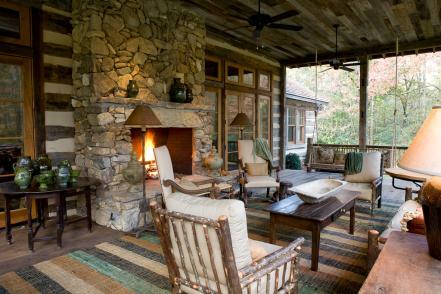 Rich wood textures and a cozy fireplace make this porch the ultimate mountain escape. For unique furniture finds look for local craftsman to create custom pieces. 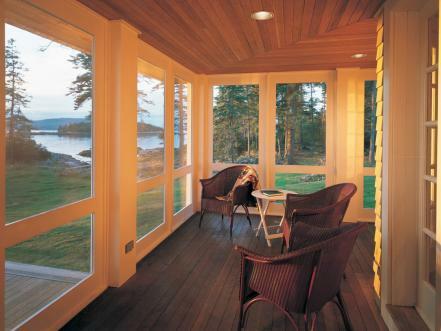 Porches should connect your interior to the exterior with ease, and provide additional living space. This functional floor plan features a place to dine and a space to visit. French doors with large window panes provide access while allowing natural light inside this home. Consider how you need the door to function when you come back from shopping. 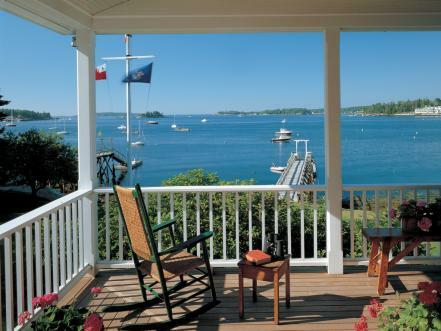 Railings play a key role in the overall look of your porch. Think about how you want to capture a view and research local building codes before you begin. 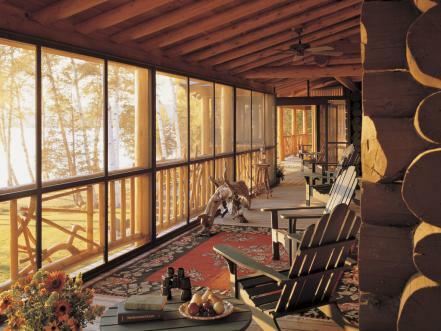 Often used as both a decorative and functional feature, ceiling fans are popular additions to porches. This floor plan is open and airy, allowing a fan to circulate cool evening breezes. A back porch can be a great place to enjoy water or nature views, or a protected spot to watch the kids play in the yard. 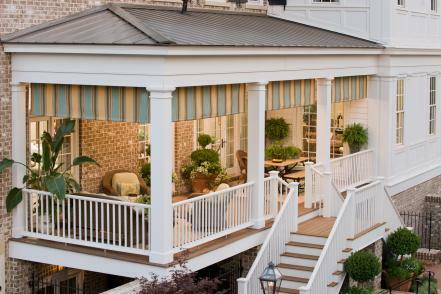 When deciding on a location for your outdoor space, think about how you will use it. 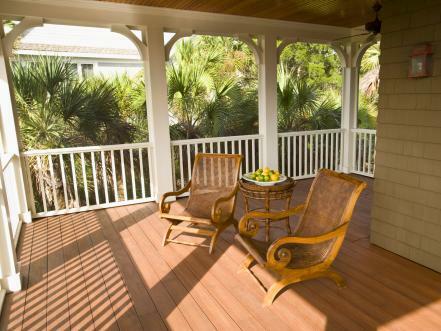 The most traditional kind of porch, the front porch is popular with homeowners who want to keep up with the neighborhood or create a welcoming entry for guests. 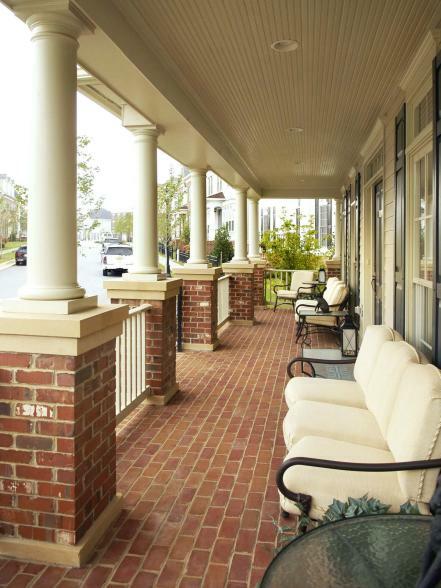 Plan your porch to blend with your home’s design, not take away from it. 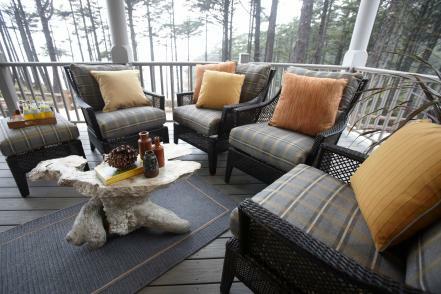 Don’t be afraid to mix different types of porch furniture and accessories. Soft curtains, wicker furniture and a rich wooden coffee table come together in lavish harmony. 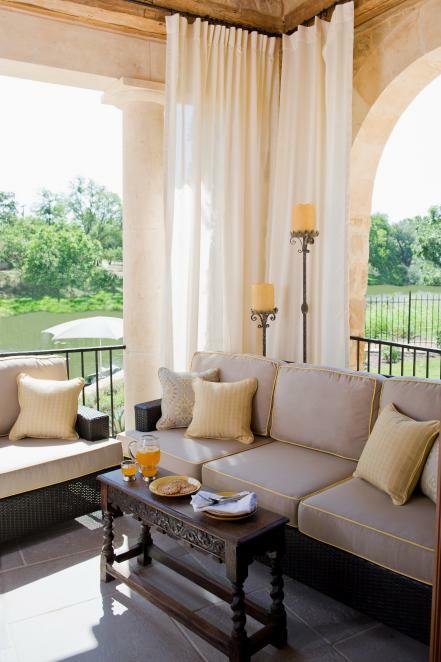 Use durable mildew-resistant outdoor materials for linens and pillows. Define a porch seating area with outdoor area rugs and if you have the space, arrange some seats facing toward your house. 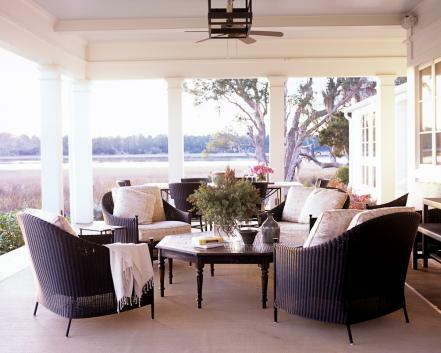 This outdoor space mixes patterns and colors to create a cozy porch for conversation. 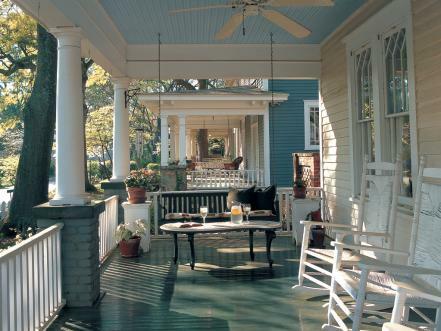 Wooden rocking chairs and a porch swing make this outdoor space the ideal antebellum retreat. 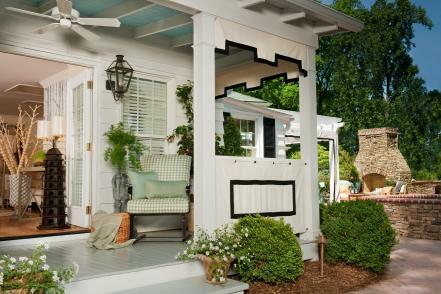 Create a porch that’s eye candy by mixing and matching paint colors.